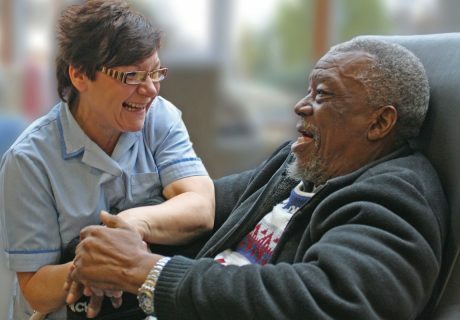 Caring for a patient’s physical, spiritual and psychological wellbeing, marked a new beginning. 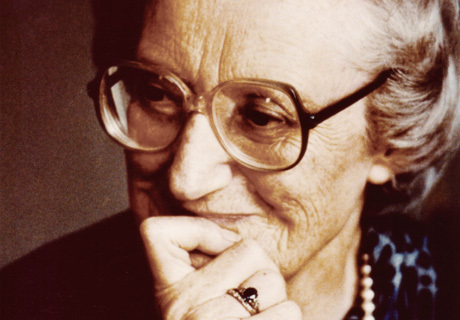 In founding St Christopher’s in 1967, Dame Cicely Saunders made an extraordinary contribution to alleviating human suffering. 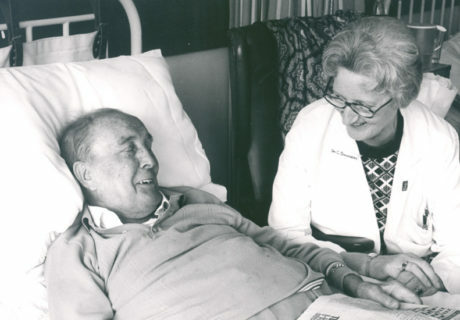 The hospice has been a centre of innovation and insight ever since. The first patient was admitted on 13 July 1967 and the official opening followed shortly after on 24 July 1967. So what were things like before St Christopher’s? By the 1950s, social trends were changing and most people died in hospitals rather than in their own homes. This change reflected the growing number of treatments available in hospitals. The medical profession increasingly saw death as failure. Cancer was the most feared diagnosis. Physical pain afflicted at least three quarters of cancer sufferers and appropriate painkillers were rarely used. Morphine was considered addictive and too dangerous. Led by Dame Cicely, St Christopher’s set out to discover practical solutions and to disseminate them widely. There were, of course, other hospices before St Christopher’s. These hospices were oases of dedicated nursing care for the terminally ill, but they were not what we now think of as modern palliative care. In contrast, St Christopher’s was committed to education and research, as well as excellence in clinical care. This combination of science, care and sharing of experiences identified the opening of St Christopher’s Hospice with the start of the modern hospice movement. 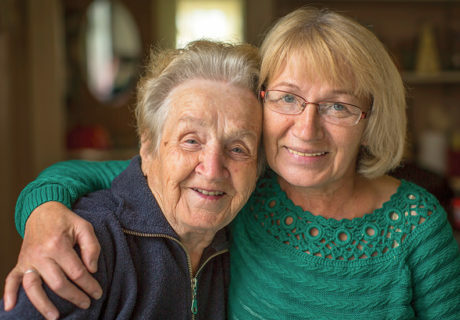 A holistic approach, caring for a patient’s physical, spiritual and psychological wellbeing, marked a new beginning, not only for the care of the dying but for the practice of medicine as a whole.